Laura, Kim, Anna, Rachel and I were starving at Pavilion and decided to fill our tummies at Bulgogi Brothers. 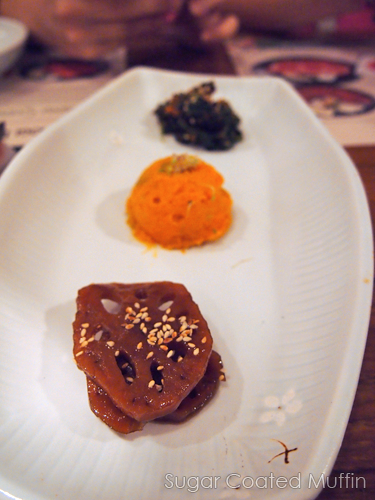 The dish that caught our eyes was this heart shaped Unyangsik! So cute please.. The place is nicely decorated with a warm feeling and the staff are very attentive and polite. 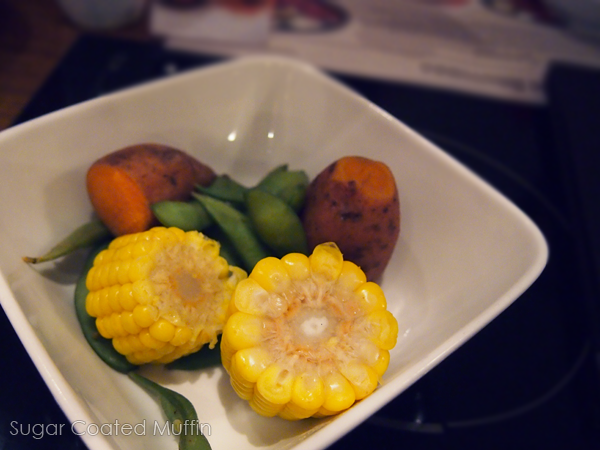 Some welcome food - corn, sweet potato and edamame. Our side dishes arrived first. Disappointed as there were only 6 types and I only fancied the crunchy lotus root. We asked for a refill of that and stated 'make sure it's enough for 6 people' since there were only 3 slices. He returned with 6 slices lol! 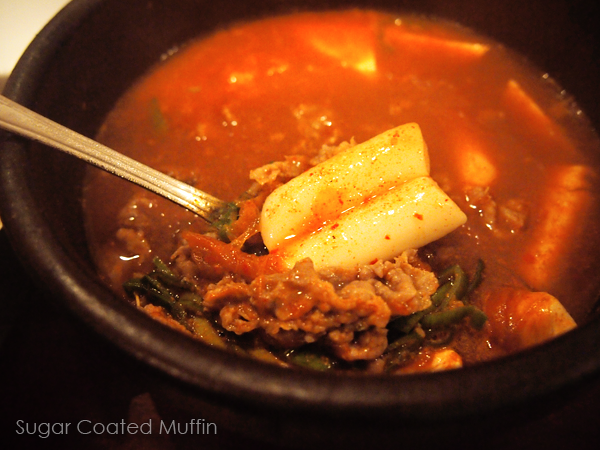 Kimchi Jigae (RM 22.90) is a Korean stew made from spicy Kimchi paste, tofu, rice cakes and sliced beef brisket. It's served in a big bowl with some rice (portion enough for one). The beef isn't too hard and I absolutely love the rice cakes! You can request for less/more spicy. The soup is great at opening our appetites (we were already starving though) but I wouldn't say it's spectacular. 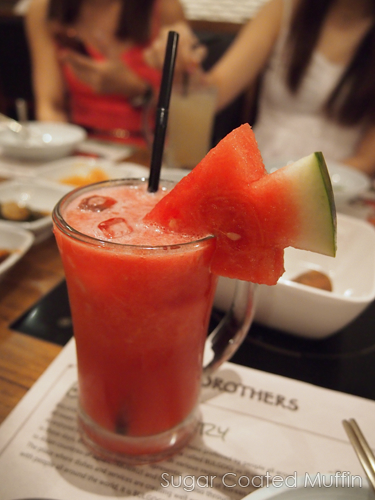 After our meals, we were treated to a cup of cold plum juice. *slurp* One of the best drinks I've had in my life! Overall, I think it's a nice place to treat yourself once in a while. 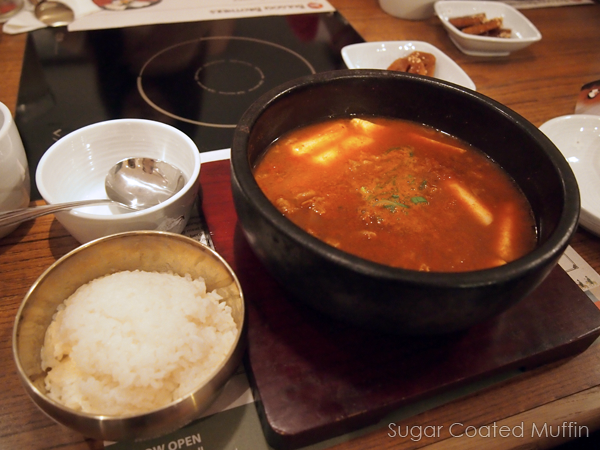 I've had similar kimchi jigae at a much lower price so maybe you can try the other stuff. Oh my, awesome food! I really need to go have dinner with my bf sometime out! The stuff looks awesome, we both like japanese food but I love korean stuff too! 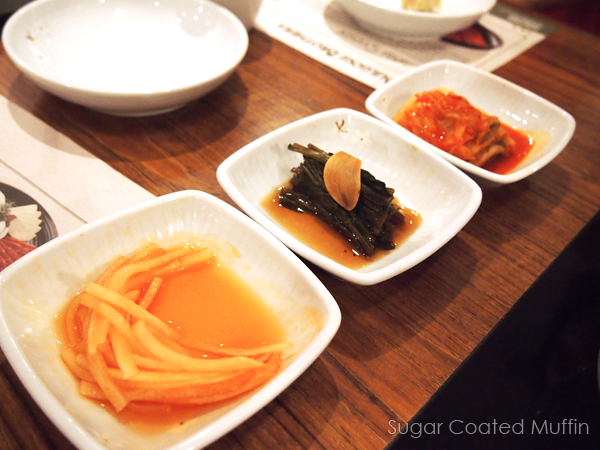 Everything look great, especially the kimchi stew and pickles! YES! I love it~ But the one I like has way more meat, tofu etc inside. Korean!! So far, my kids love them.. but as for me, I am still learning how to enjoy... have to keep up with the trend.. hahaha..